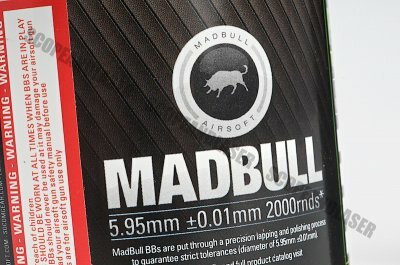 The Madbull Heavy BB series all have a standard size of 5.95 +/- 0.01mm with precision lapping and polishing processes. 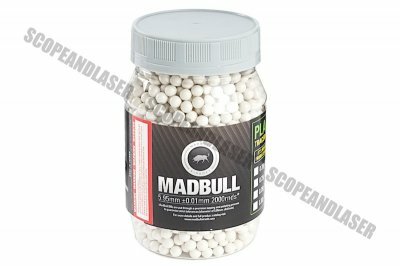 Well known brand in Taiwan, Madbull makes high quality BB's which can be depended on. Every BB is inspected to check for air bubbles and uneven surfaces to make sure they are perfectly round and at the correct weight. Heavy Series available in 0.40g, 0.43g and 0.45g weight. Each bottle contains 2000rds.